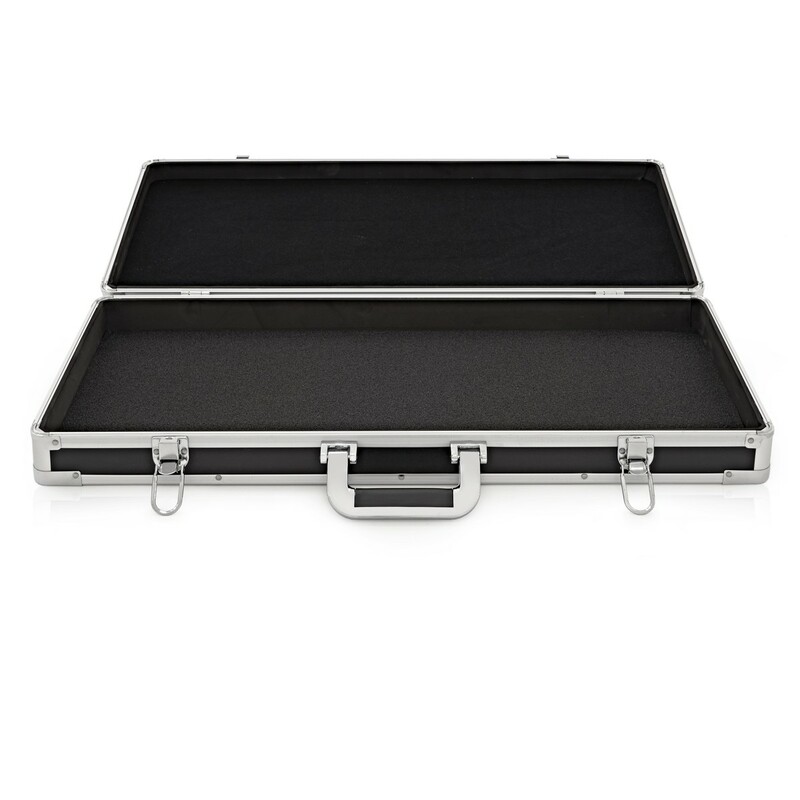 The Pedal Board Flight Case by Gear4music is ideal for safely transporting guitar pedals to rehearsals or gigs. 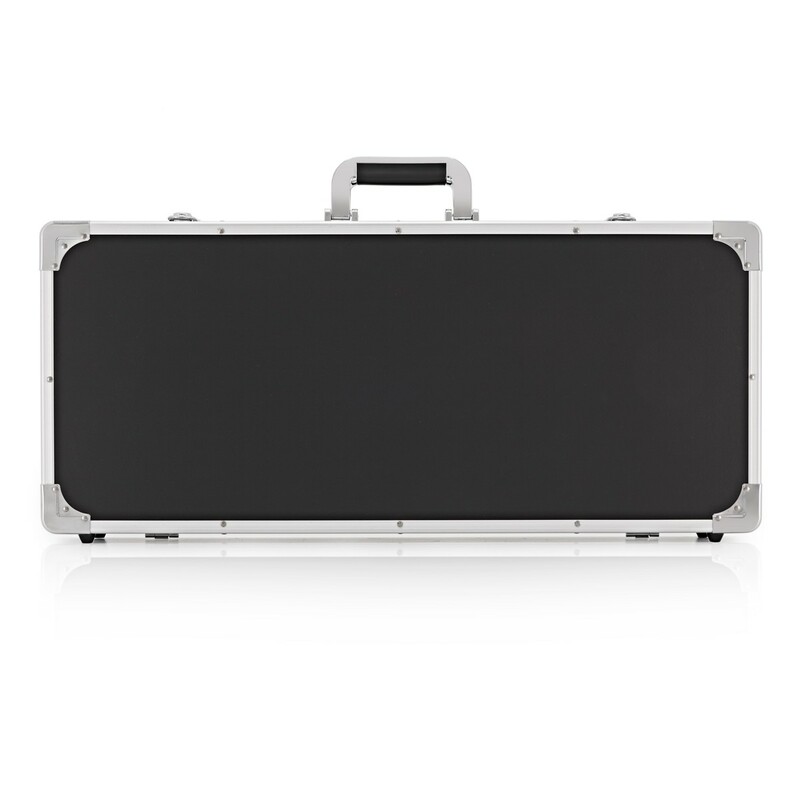 With a resistant black ABS shell and robust metal edging, the lightweight yet rugged design will not let you down whether being thrown in the back of a tour van or a luggage hold. 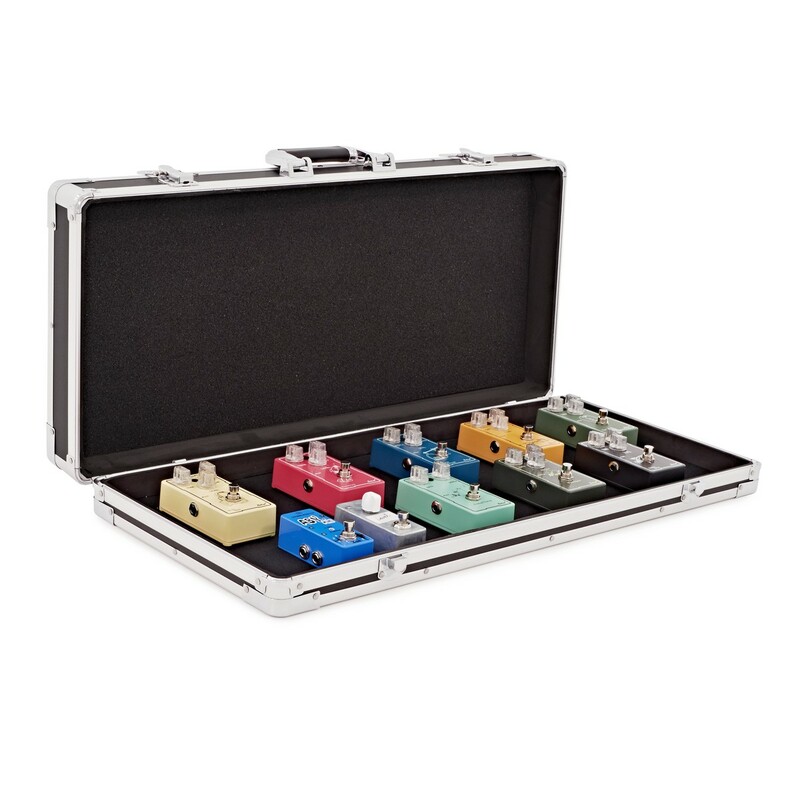 This flight case fits 12 - 15 guitar pedals, dependent on size, and allows you to have your pedal board set up and ready to go without the fuss of repositioning your pedals before gigs - just take off the lid and plug in! Simply use velcro to secure pedals to the foam interior, whilst a removable lid helps the unit take up less space on stage. 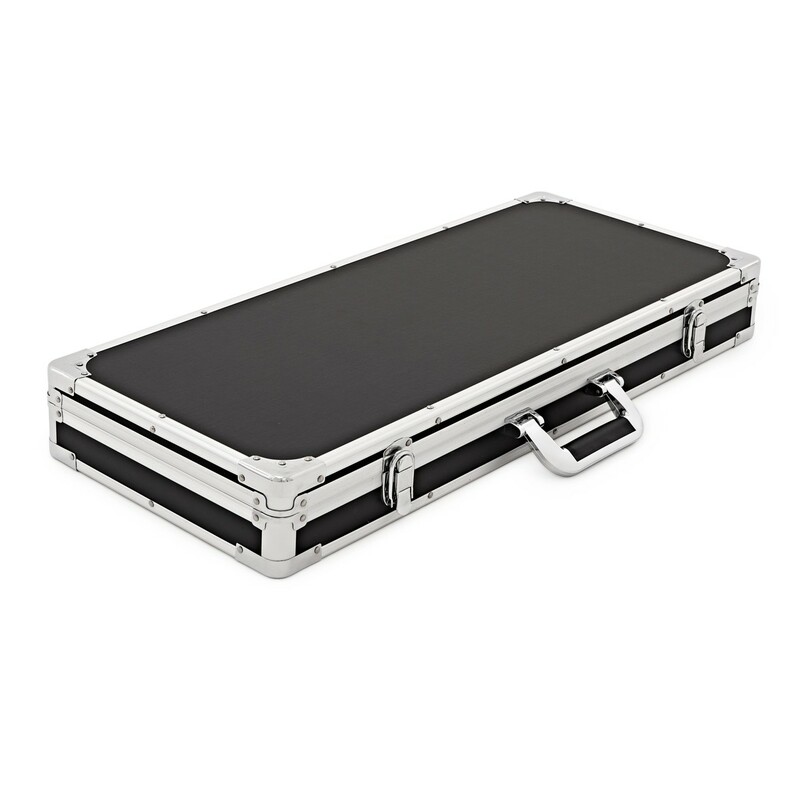 A robust handle and pair of secure catches keeps this pedal board secure and convenient for transit. This pedal board flight case is also available in a smaller size, suitable for 5 - 8 pedals.